'MAKE IT SKIP DADDY’ - Kale is 11 years old now. In December he will turn twelve. Years ago in this painting I recaptured a moment when my grandson Kale was two and half years old. Here at Crescent Beach with our son Jeff, his daddy, they are examining a stone Kale picked up and he wants his daddy to skip it on the water as he has seen him do before. Jeff has kept this painting. I am glad that he treasures it as I treasure them. It’s been completed. Perhaps a few nuance touches will occur but it is ready to receive my signature in one corner. 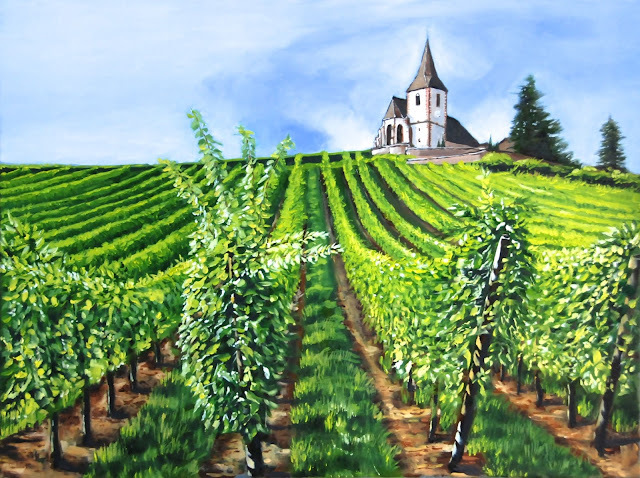 This is a painting of Saint Jacques Le Majeur church located in Hunawihr, Alsace, France. the painting itself is 18 x 24 inches, oil on canvas. The painting celebrates for me, Christine’s and my recent 4 week trip to France. On this occasion we lived in Riquewihr for one week and on one of those days, we walked the 2.5 kms. to Hunawihr, through the roads and paths that permit visitors to walk to numerous villages. This church was built in the 15th and 16th centuries on the foundation of an earlier church and it was initially Catholic. In 1534 Georges of Wurttenberg introduced Zwinglian reformation Protestantism to the town. His successor introduced Lutheran Protestantism in 1559. Then in 1687 Louis XIV ruled that if there were seven Catholic families in the village, the church should be used for both sects. Today it is still a dual Christian church. It is a heritage site now, a fortified church surrounded by an hexagonal stone wall with six semi-circular bastions. It is known as the church in the heart of the vineyards. 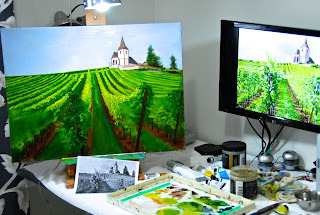 I am eagerly painting again … can hardly what to tackle all the projects I have in mind. 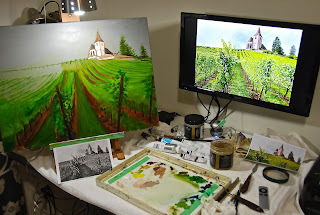 After a 4 wk trip to France, I began this weekend to paint the fortified church of St. Jacques Le Majeur in Hunawihr, Alsace, Fance which surrounded by vineyards … walked there four weeks ago, took pictures, now use my TV monitor & Apple TV to display my image so I can paint what I saw and what I see. Here is the first scratch or two … much to do. 24X18 oil on canvas. Then one day more and the depth and distance is beginning to appear. It’s enjoyable to do this. This husband and wife artistic team made such an impression on me in 2009 during our last trip to the Luberon area of France and particularly their home town of Bonnieux, that we have today driven from Lourmarin, our home base during this current trip, and we have found Anne-Marie Ruggieri in the studio that we visited six years ago. We learned today that they now have a second gallery in Bonnieux called Kelia Galerie. Philippe works in this latter one. Both of them are remarkable artists. 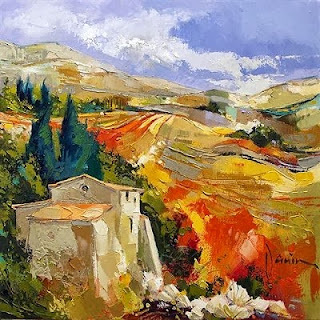 Since our last visit they have both done many works in pastels which seem to compliment the subject matter of Anne-Marie’s landscapes and still lives, and Philippe’s nudes. The nudes are new subject matter since I last saw his work. After our 2009 trip, I wrote a blog post about them and I place the link to that here, ‘Artists Anne-Marie Ruggieri and Philippe Janin.’ They have a marvellous website with both French and English capabilities, called Janin et Ruggieri. 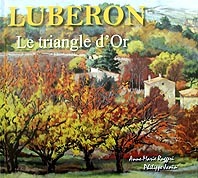 Bonnieux is several kilometres from Lourmarin up steeply curved and circuitous climbs, but we may go again to see how he is. 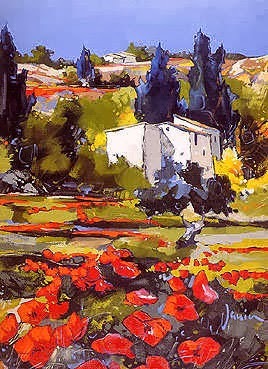 They honour their country and the specific region so well by their impressionist work. I enjoy their paintings very much. Christine had explained that we had been here 6 years earlier and visited this gallery, that I was an artist and that I liked their work. Anne Marie was so pleased. She was so friendly and engaging with us and she said she would sign it for us and then she began to do a pen landscape sketch on the inside cover, at the bottom of which she signed her name and the date 29 Septembre 2015. She told us that if we then went into the village to the other gallery, Philippe would also sign it. Within minutes, someone came in to tell her that Philippe had fallen was hurt and had been taken to the hospital in Apt, and she was immediately visibly concerned. Our visit ended with our thanks to her and our expression of trust that her husband would be alright. 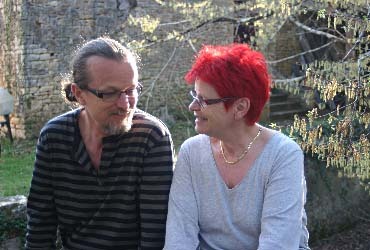 Then on Monday … we returned because Philippe communicated he could receive us. He was well, and had not been badly injured, and he was happy to visit with us. In his gallery he signed our book and posed for photos with us. 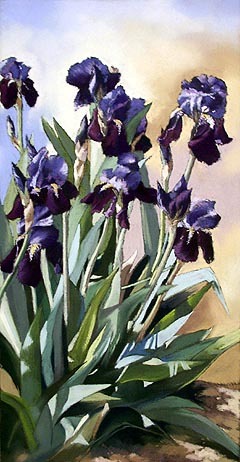 If you look at their website and see paintings about which you want to inquire further, contact them here. I have just come from Barbara’s home and studio this morning, catching up a bit with each other, and I picked up my copy of the hardback version. 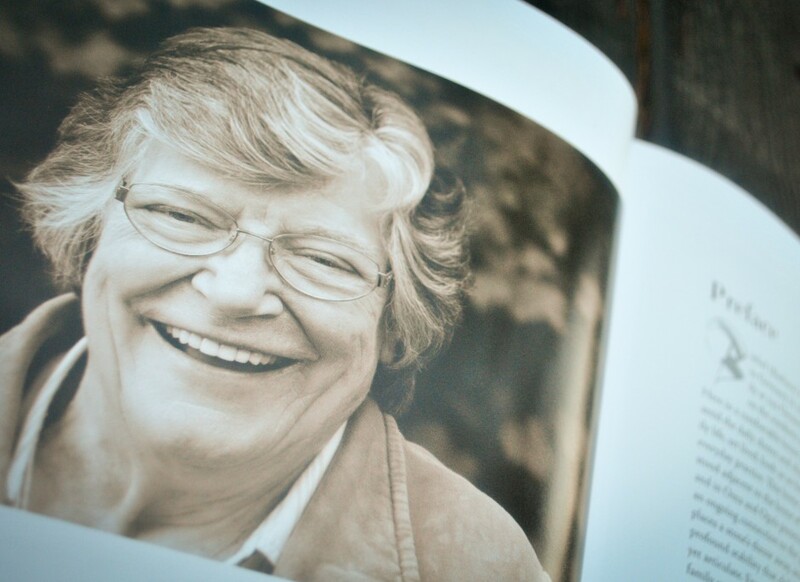 It is a stunningly well designed book, very well written, carefully rendered photos and stories, plus the bonus of Barbara’s life story which deserved this beautifully archived treasury format. 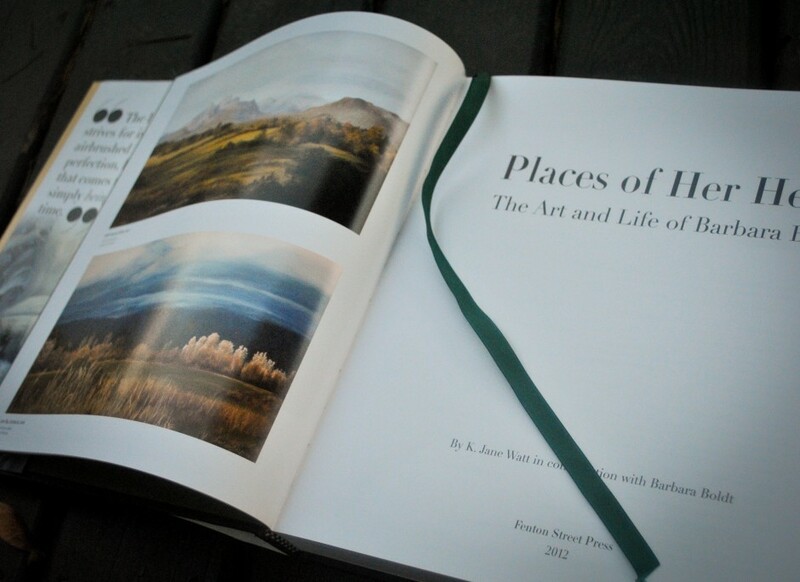 I want you to consider buying this coffee table book, 'Places of Her Heart'. It's astounding, like her. 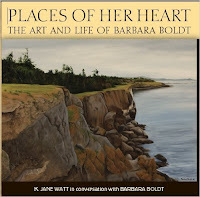 While Barbara is the teller of her personal story, K.Jane Watt, an award winning author sat with Barbara for many Mondays, researched and wrote the material that surrounds a 200 colour reproductions from Barbara's growing body of work. 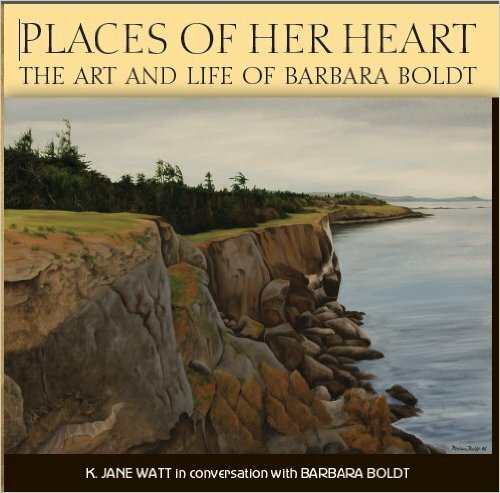 Places of Her Heart, The Art and Life of Barbara Boldt, by K. Jane Watt, is an inspiring story describing how a woman came our of war ravaged Germany and KLV camps, immigrated to Canada, married and raised a family, and was born as an artist in the midst of heartbreaking life circumstances and has found beauty in nature which she invites us all to enjoy through her paintings. 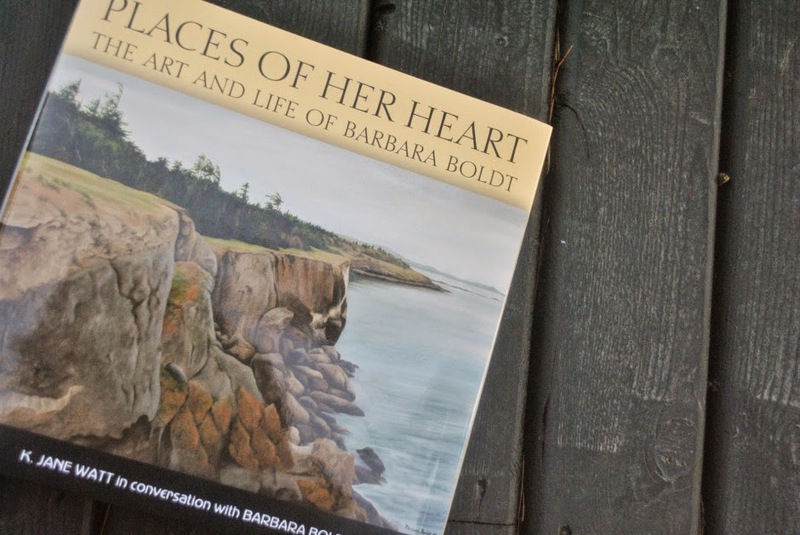 General readers, students of Canadian immigration, women’s history, Canadian art, art history, and the regional paintings of BC’s Gulf Islands and the Fraser Valley will find this book of interest. In our area you can find a copy at Wendel's Book Store in Fort Langley and also at Birthplace of B.C. Gallery. 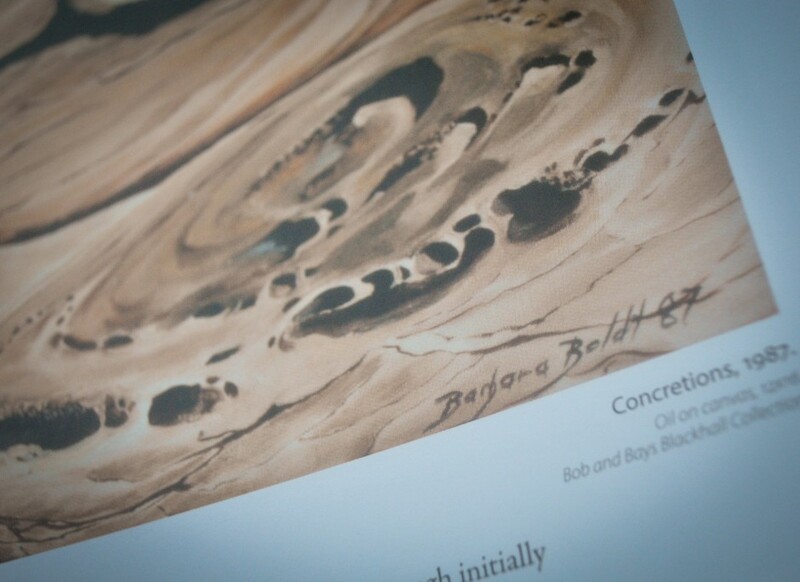 It can also purchased on Amazon, or why not have Barbara sign one for you at her gallery. It is available at the Langley Centennial Museum. Jane Nicol has written a consummate review of the book and the authors, and I use that here with gratitude to Janet, and for the sake of encouraging readers to purchase this memorable keep sake. There is no point in seeking to say what Janet has written so ably on her blog. "Barbara Boldt, a Fraser Valley artist, aged 82, has been painting British Columbia landscapes and portraits since the 1970s. Her biography was shaped by K. Jane Watt, an accomplished historian, who visited her regularly for coffee on Monday mornings. 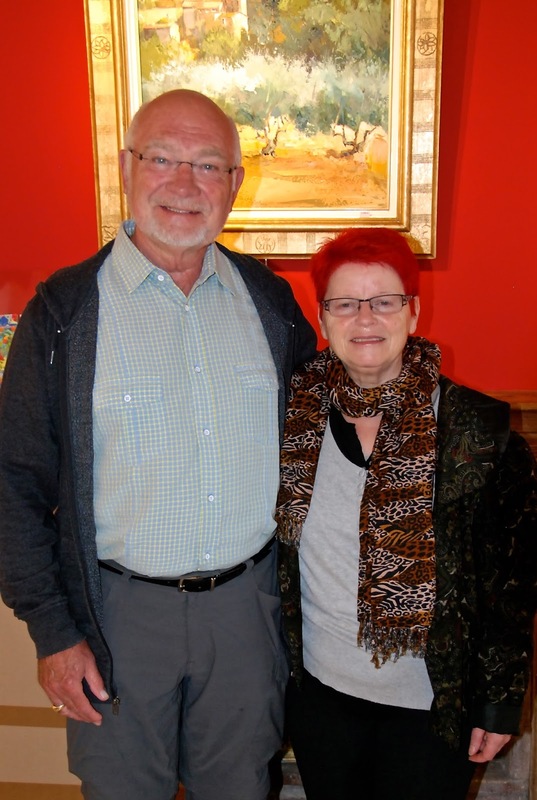 Their conversations turned to formal interviews, resulting in a coffee table book offering a rare glimpse of a German-Canadian’s life journey, accompanied by visually rich art work begun in Boldt’s middle years. Watt also had access to Boldt’s family archives and personal papers. Some of these treasured items, including drawings by the artist’s 19th century ancestors, also find their way in these pages. Alex Colville was born on August 24, 1920, and died on July 16, 2013. Three years before his death at the age of 92, I wrote a piece about him out of deep respect for him as an artist and as a man with personal convictions. It was printed in the Montreal Review, placed there by a friend Tsoncho Tsonchev, on the editorial staff at the time. Alex Colville does not expect anything beyond this life. 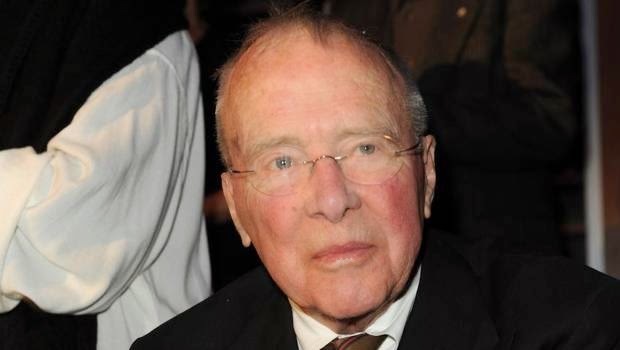 In the end we are all dead would summarize his view. Perhaps he might say that he has received honours and tributes enough to compensate for an afterlife. Do I wish that Colville embraced a biblical view of heaven. Of course I do. Colville is 89 years of age, has struggled with prostate cancer and bowel cancer and has a valve replacement in his heart. He has said that his lifework is his effort to ask one question: What is life like? As Colville puts it, "You spend your whole life telling people what it's like to be alive." In order to affect this Colville has examined his surroundings of the Annapolis Valley, the shores of the Minas Basin, his home and his family. 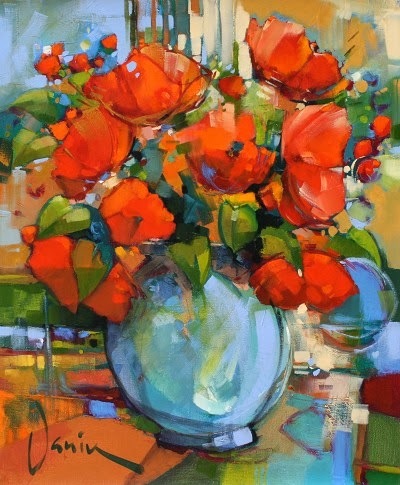 His children have been some of his models and Rhoda, his wife of 60 years has been the subject of many paintings. He is very much aware of his age, the imminence of death, the legacy he lives and the manner in which his mortality inspires his paintings. 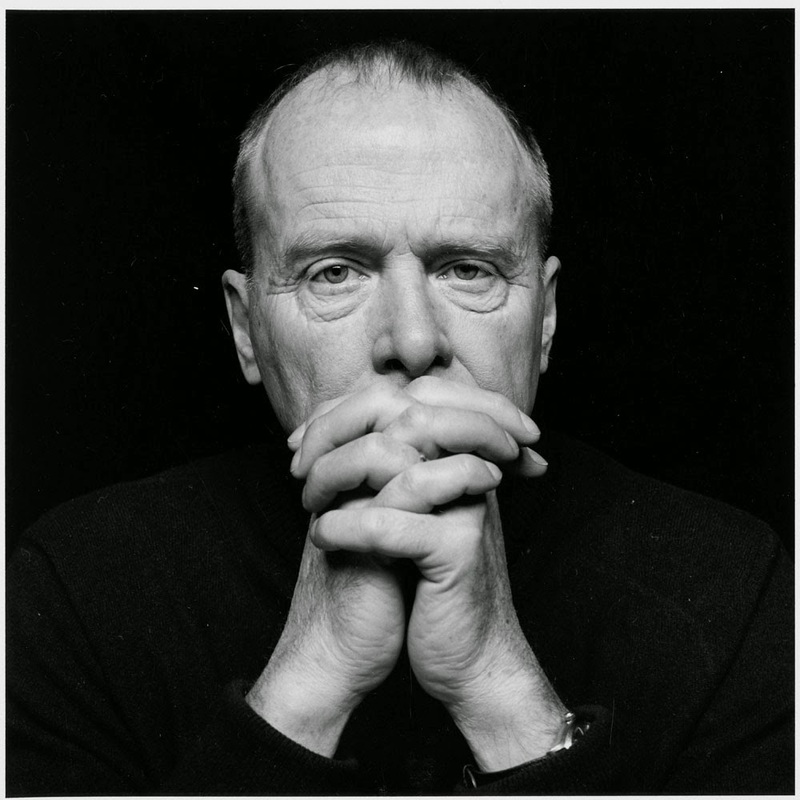 He understands that his work has stirred interpretation and sometimes controversy, telling the CBC's Life and Times "what troubles people about my work, in which they find mystery and intrigue, may well be the idea that ordinary things are important." The author of this short tribute is Ron Unruh, a British Columbia artist. 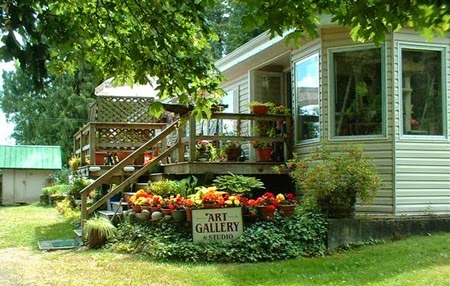 The Rocky Mountains rise within view of Ron's Cloverdale home studio which is minutes from the Pacific Ocean. His drive to White Rock and Crescent Beach waters takes him through agricultural land reserve with blueberry and raspberry fields, cranberry bogs, vineyards and flourishing wineries as well as hobby farms, secluded private estates and sprawling golf and country clubs. 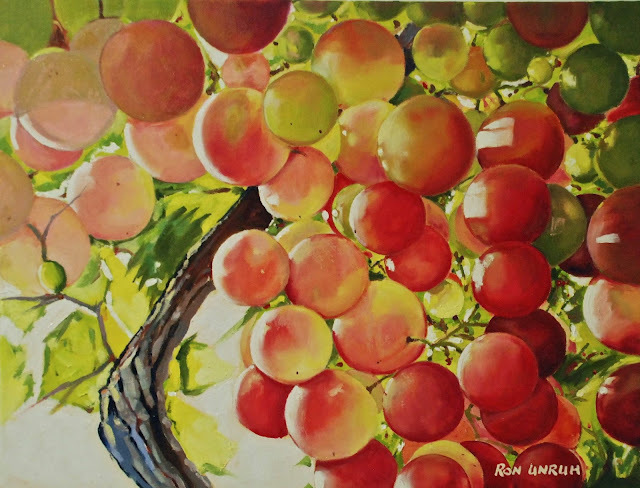 Ron Unruh enjoys painting scenes with a range of idyllic landscapes and fascinating people in celebration of his idyllic and productive environment in the lower mainland of British Columbia. He also takes pleasure in recording memorable scenes from his international travels, scenes which frequently evoke fond memories for other global tourists. They lie a tangled twist of wood. high on the shore of Point Roberts. of escape from a jam, of erosion. Watch the sun rise, pass and set. On canvas to look like sculpture, interlocked and complex. Enjoy a natural work of art. We cross the border to enter this tiny peninsula several times each year, walk the paths along the waterline, and often sit down among the whitened wood, warm to our bodies on a sunny day. The image is mine, my painting of Baker in the background with the beloved and beautiful logs in the foreground. My friend Barbara Boldt loves and paints the pacific rocky shorelines and I love the wood. The year was 2008, I had just retired from a non-art career and picked up my brushes and paint as I promised myself I would do. I had a location among the artist’s pavilion for the first and only time that I have shown my work at the festival. 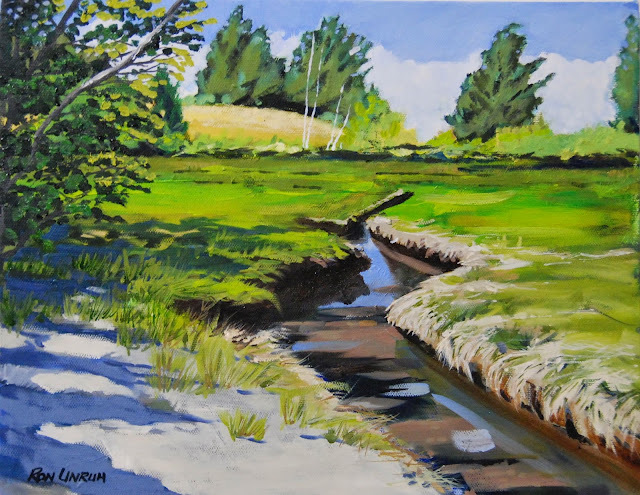 However, I also completed an 18X36 in., acrylic on canvas painting entitled, ‘Cloverdale Blueberry Festival.’ It featured the Surrey Arts Councillogo and the activities in the square where dance, musical and visual art presentations were offered. 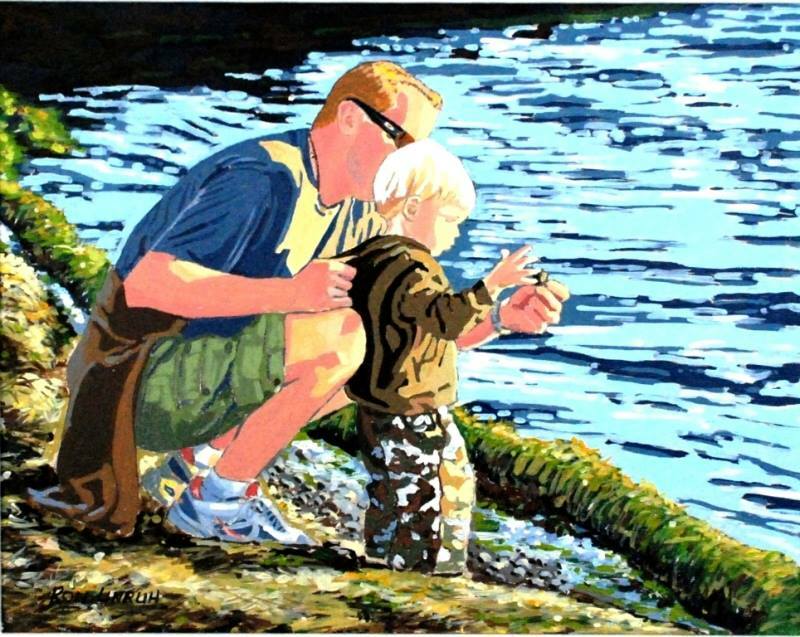 The work is in the collection of Dr. Kevin Orieux, dentist in Cloverdale. 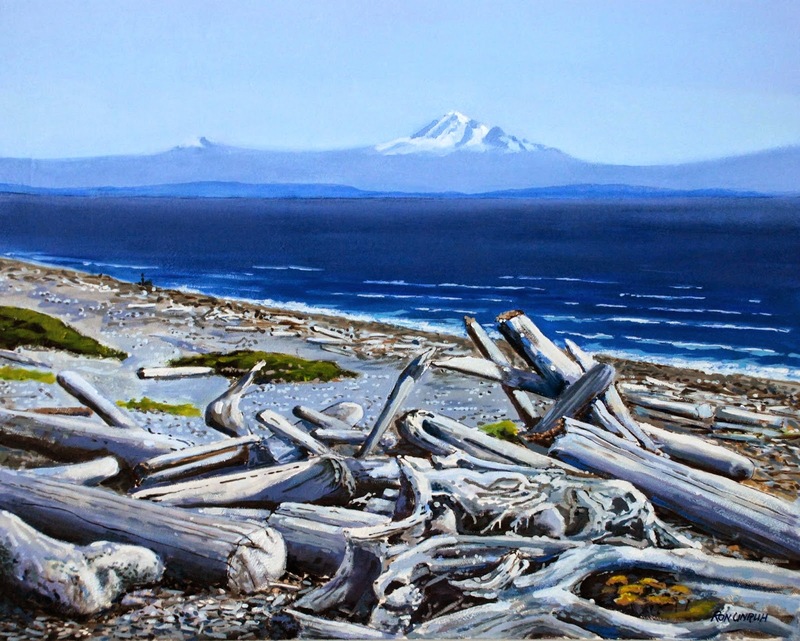 “Possession Point” Whidbey Island, oil on canvas, 11X14 inches. Christine and I did one of our classic staycations one day, driving across the border, using I5 until Hwy 20 or Memorial Drive to Fidalgo Island which naturally takes us to the top of Whidbey Island. Whidbey is a grand drive in an open sportscar, which pulls easily to the side anywhere for a longer look at any scene that seizes attention. We could have, perhaps should have overnighted but we didn’t. Nevertheless, we went to the very southern tip of the island and from west to east, stopping at lovely beaches and lookouts and country shops, and dining places, and at one location, Possession Point, Christine went for a long walk through pools of seawater while I took in the subjects for painting, and this is one result. 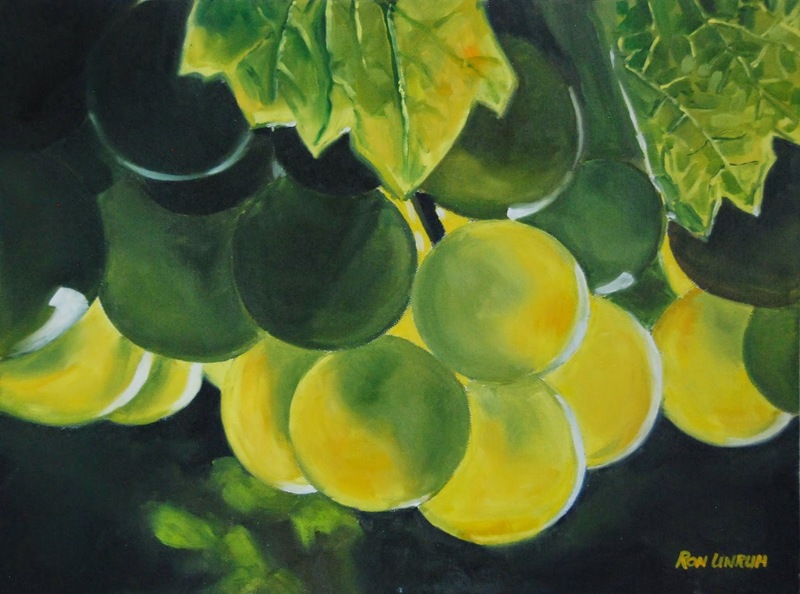 'EARLY MORNING CHARDONNAY,’ oil on canvas, 11X14 inches - This was a experiment in darks and lights. How dark should I make my darkest areas? My visual image was very dark in the early morning light but how would it appear in oil. I decided to paint the beauty that I saw. Against the ebony greens, the almost transparent chardonnay grapes popped out at me. I loved the effect. The original looks so good. Completed just days ago. This was a treat to paint because the colours were luscious, rich and elegant and blending them to reality was therapeutic for me after a lengthy hiatus from painting. I probably had not painted for a couple of months, so it was a pleasure coming back to this love with such a good outcome. It’s 20X16 inches oil on canvas. 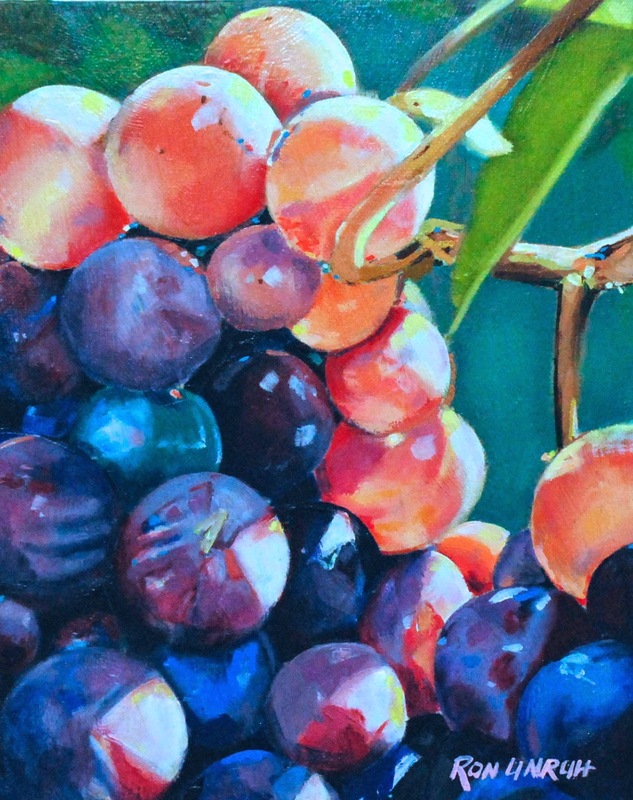 'Pinot Noir Almost Ready,’ - a small one, 8X10 in. oil on canvas but it was fun to render what light can do on objects like this. Darks and lights are enjoyable to paint. The photo is less than sharp but the colours are close to the original oil on canvas, and the painting is new, perhaps my last Vineyard Collection piece for a while. 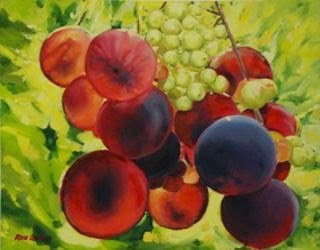 I couldn’t get over the vivid colours and consequently the unwieldy title is, ‘ROSES ARE RED AND GRAPES ARE TOO.’ For the past couple of weeks I have worked on five paintings, each quite different from one another. That serves a purpose when using oil because it is wet for some days, and this exchange allows time for setting before application of something further. Completing a piece in a day, wet oil into wet oil is called Alle Prima and it is a fruitful exercise for accomplished painters who do it well. Crescent Beach is a favourite spot for Christine and I in any season. During the summer we frequently walked away from th crowds to find a secluded spot in the sun with a view of the mud flats and incoming tidal water, with the fragrance of seawater and the flights of sea birds. ‘Mud Flats at Crescent Beach’ is an 8.5X11 inch oil on canvas painting I’ve just finished. 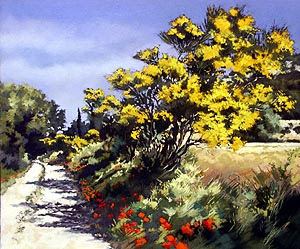 Solitude, Contentment, are words I associate with this simple scene. This one goes somewhere for $200 unframed. I wonder where the somewhere will be. I work on new stuff but looking back is inspiring too. 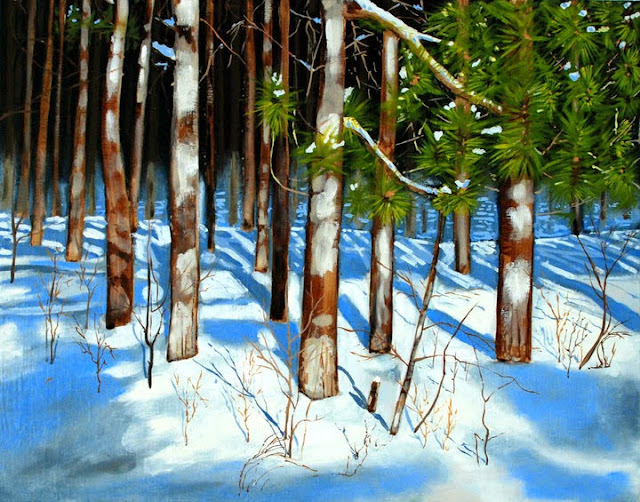 This is a 2009 painting entitled, 'CRISP WINTER MORNING', 16X20, oil; This was purchased by a framing and gallery owner named Sandra, and I assume that it may be in her own home unless she found an eager buyer. I enjoyed creating the depth that draws the eye far back into the woods, and the shadows were cool, I mean cool to create. What a grand way to spend a couple of hours on Friday. 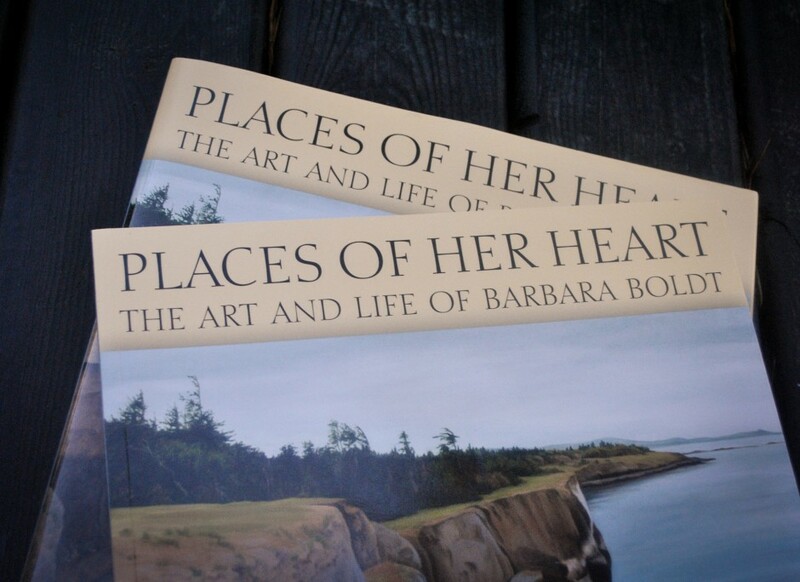 Barbara Boldt is an established painter living just outside Fort Langley. 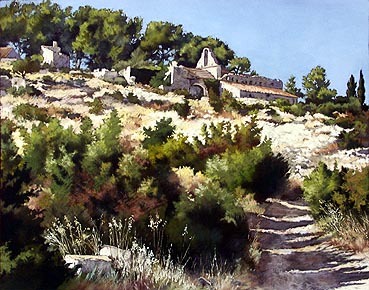 Her home located under towering trees and surrounded by farms, contains scores of available paintings. She paints in oil and has a distinctive realist painting style. 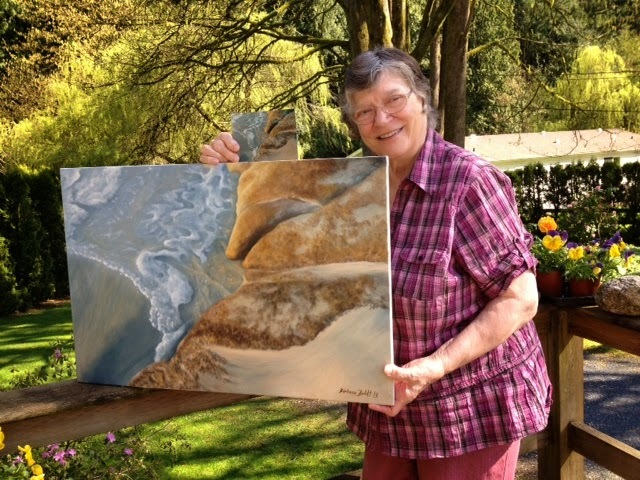 Her subject matter is life in British Columbia, the time worn rock formations on Galiano, the grasses and reeds along rivers and streams, field wildflowers and cultivated florals in her own garden. 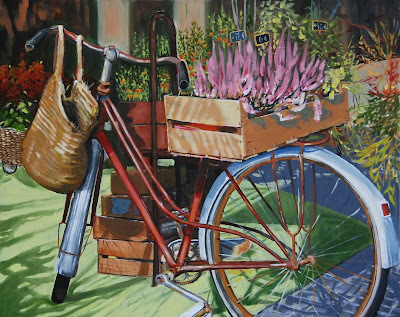 She sells only original works, no prints, and prides herself that a purchaser receives a painting that is one of a kind. She has collectors on several continents. She holds occasional well-attended shows in her home. She teaches lessons to a few students at a time. I won't presumptuously claim to be one of her best friends yet I have known Barbara for many years, beginning when she had her own gallery of paintings in Fort Langley. We have corresponded from time to time. 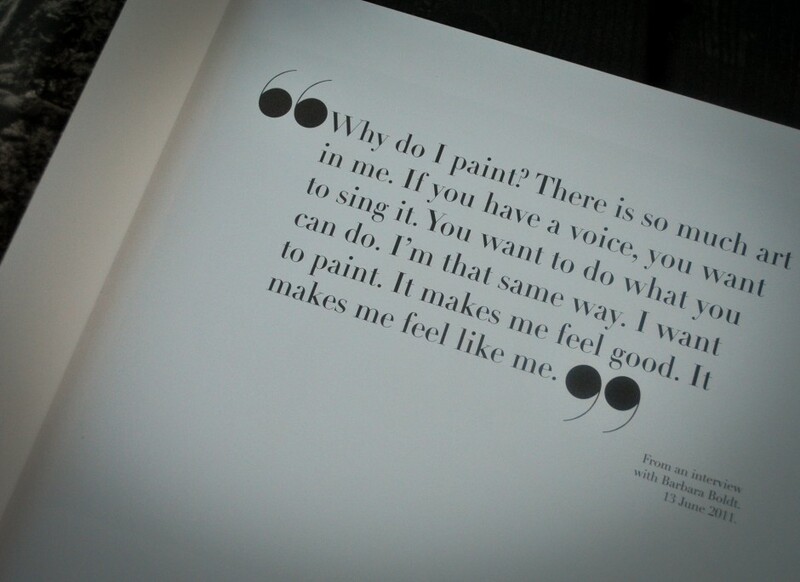 Barbara, the person, the painter with a story, the painter who began to paint at age 45, fascinated me. Today, Friday, September 12, 2014, I enjoyed the marvelous privilege of visiting her. I've been meaning to do this for a long time. She was always open to the opportunity and today it happened. We shared with one another, displaying our art pieces to one another and talking about them. But that wasn't all. I brought some of my poems and she had a folder of her own poems and we read to one another while sipping coffee. We shared stories from our lives. I admire and respect Barbara a great deal. She has been honoured from time to time, and deserves greater recognition from peers. She has worked hard at her craft. She has a pioneer spirit, a survivor's heart, an authenticity and determination that should make anyone proud to own a Boldt. 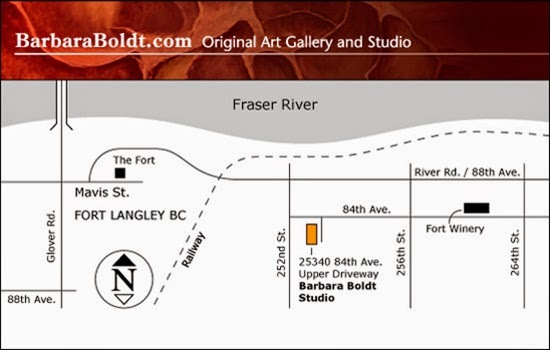 Barbara Boldt's Studio is located at 25340 84th Avenue, in beautiful Glen Valley, 5 minutes from Fort Langley. Small group lessons are available for oils.